Y’all, it may only be August but did you realize fall will be here in ONE MONTH?! I have been looking forward to fall (my fav season) but haven’t actually started planning… I needed some inspiration to get my wheels turning so I decided to start with my front door. In an effort to decide on this year’s fall porch vibes, I rounded up some of the prettiest fall wreaths you ever did see! I used one of these last year (back in stock for the new season) and have decided on one of them for this year. Can you guess which one? and one from the year before. Both looks were first inspired by each year’s respective wreath. I am thinking that this year will basically be a hybrid of the two. I am slightly allergic to burlap and felt on fall door decor- I feel like if you are into that look, fall is when it all comes out. But, if you prefer natural elements and other nods toward harvest, I’ve go ya covered. Two prominent themes you will notice- I LOVE fall berries and fall leaves aren’t necessarily exclusive to the maple variety. If you already have your front door covered, you may have other wreath opportunities like hanging from a dining room mirror or over your fireplace. 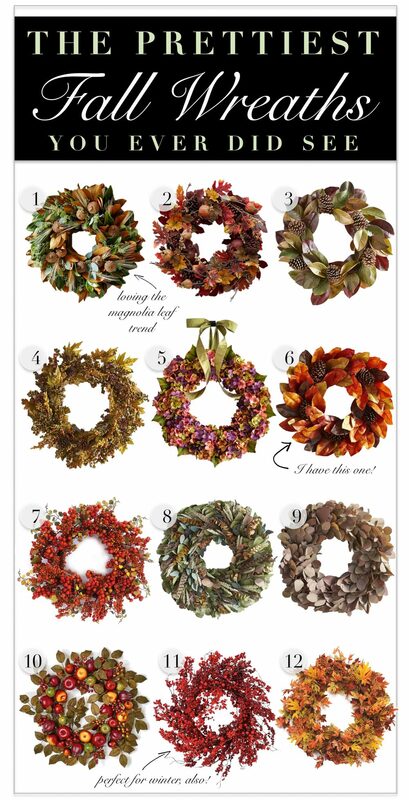 Below are the prettiest fall wreaths I’ve seen so far, leading up to the season ;). Have you started thinking about your fall decor? Will you be looking for ways to freshen it up or sticking to your tried-and-true? Where do you start when you’re looking to mix it up? 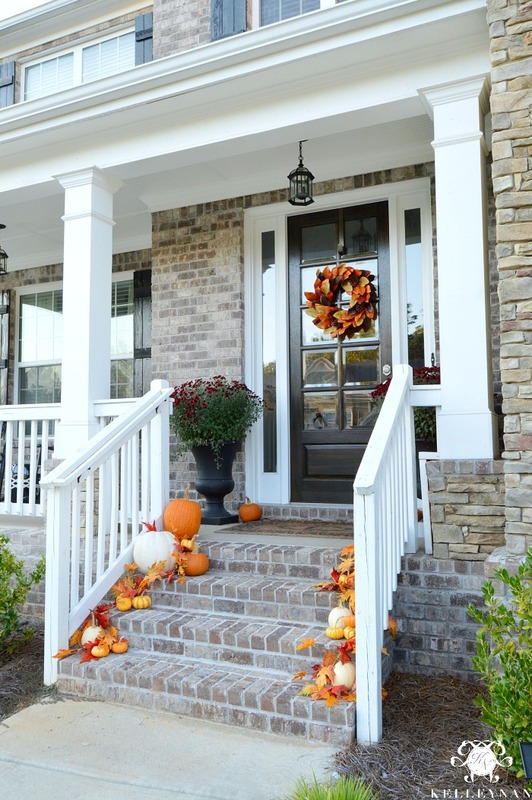 If you are looking for more fall ideas, here are a few from last autumn. You’re so talented. I wish I didn’t live so far away. I’d love to have you come decorate my home. You have true talent. Your hard work is paying off. I just saw your post on instagram was so excited and came right over to your blog…what beautiful wreaths and inspiring links to even more ideas! I like to change things up a little each year while using things from the previous years…since gold and copper are really “in” this year I might paint a few of my pumpkin stems and magnolia leaves gold and copper and add some berries in my wreath as well 🙂 glamming it up! LOVE the idea of painting the stems in metallics, Kimberly! I hate to start thinking of fall already, especially since our summer vacation isn’t scheduled until next week, but I did come across a gorgeous collection at a national discount retailer that features shades of teal and cream that I absolutely fell in love with (note: three trips to that store later, I think I’ve captured enough from that collection to add to my fall decor!). My interior colors are taupe , cream and teal, and my exterior colors are gray, black and white, so this fall’s teal accents are going to fit in perfectly both inside and out. These wreaths you have posted are gorgeous — I’m always looking for a new spot to display one as they add so much to any space. 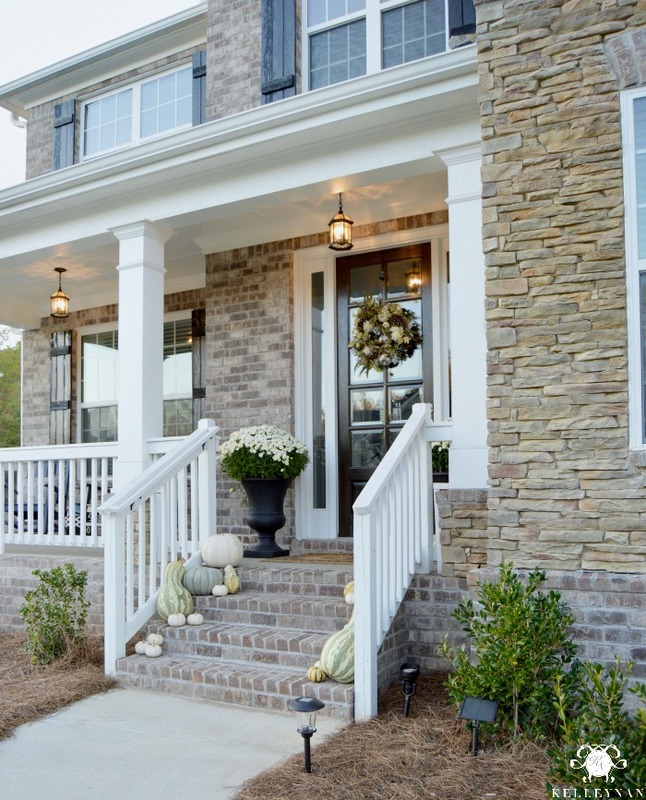 My favorite porch design of yours is the one with the cream-toned wreath. So pretty! Sharon, I can’t believe we are just 3 weeks away! Your colors sound beautiful; thank you for your kind words. Happy decorating and I hope you had a wonderful vacay! I love looking at your lovely home! Please consider using a little bolder font because I have to strain to read your script. I don’t have trouble with other blogs, so I’m thinking that maybe others have the same problem. Thank you so much for considering this. Looking forward to reading future post and looking at your great ideas! Kristin, thank you so much! 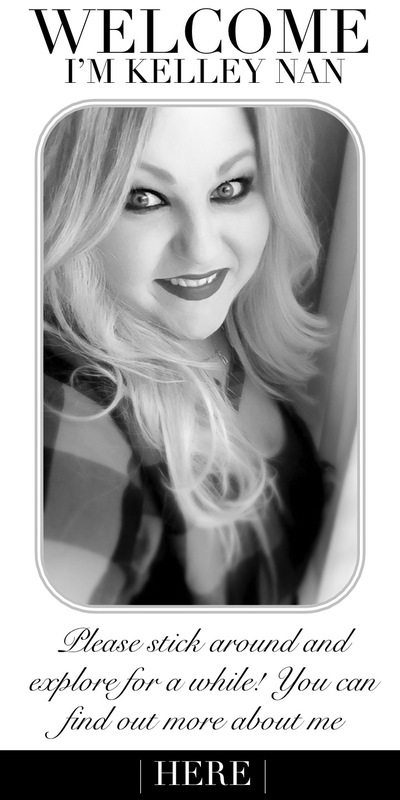 The font is built into my site but when I eventually do a little site facelift, I will absolutely keep that in mind. Thank you for sharing!